April can be a transitional month weather-wise, with lows dipping well below the freezing point, so flowers that bloom in April have to be hardy. A number of perennials do come back every year in April, bringing welcome color to the winter-weary and signaling the start of the gardening season. 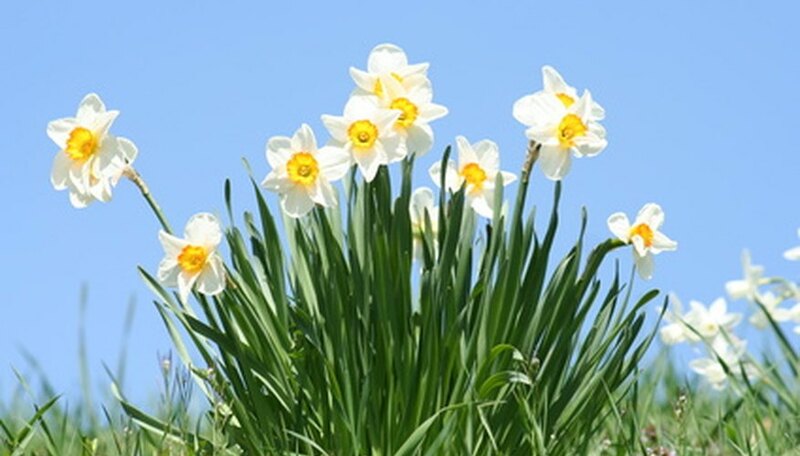 Daffodils, which are the large, yellow trumpet-shaped types of narcissus, generally bloom in April, although they might pop up in late March and stick around well into May. Their flowers should be removed when they start to fade, or they will cause the plant to develop seeds, which leads to smaller bulbs the following season. 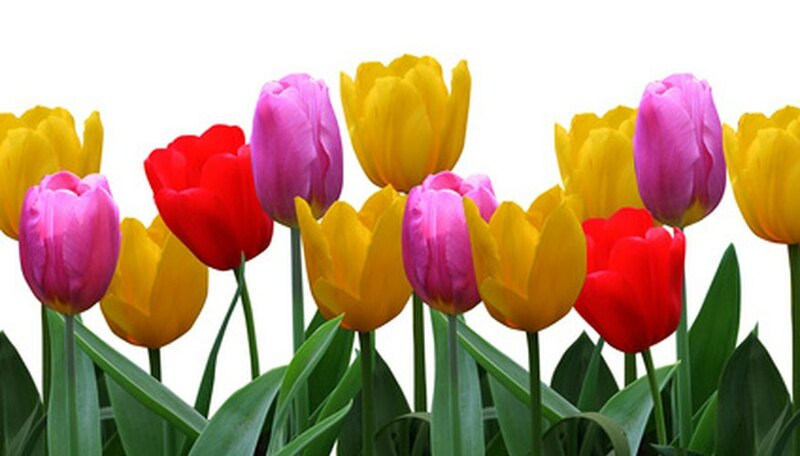 Some tulips bloom in April, including the single early tulip, the double early tulip, and the Tulipa praestans. With both tulips and daffodils, don't remove the leaves until they turn yellow, because they are making food the plant will need for the next growing season. Old-fashioned bleeding heart, or Dicentra spectabilis, is a beautiful, showy plant that grows well in the shade or partial shade. 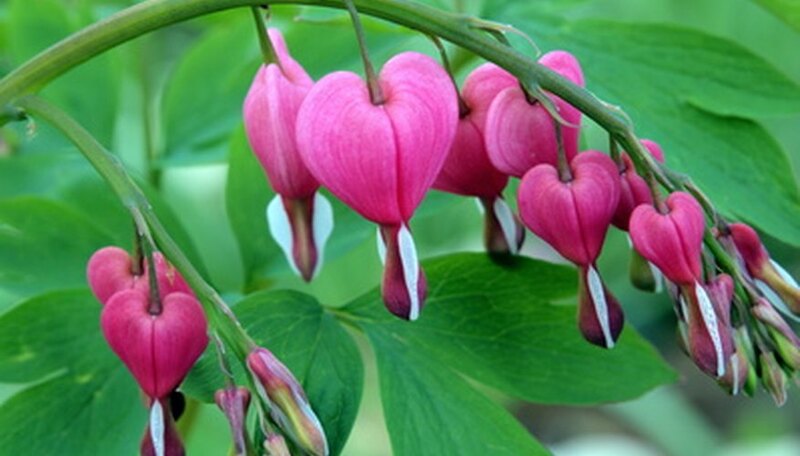 The pink or white heart-shaped flowers cover the 2 to 3-foot-tall plant. After the flowers die, the leaves go dormant and the plant might appear to be dead, but it will come back in the spring. Two blue beauties burst onto the scene in April, Siberian squill and Virginia bluebells. Squill has bright blue flowers growing on 6-inch stems with dark green leaves. The flowers typically last for two weeks and will survive a sudden dip in temperature. 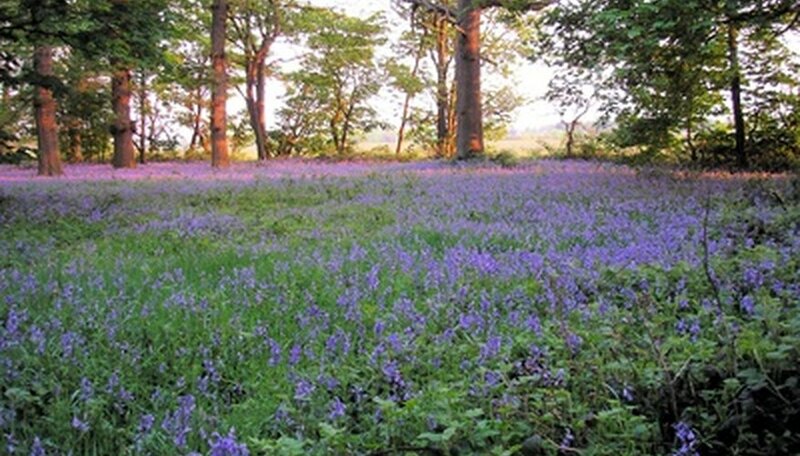 Bluebells are taller, reaching 1 to 2 feet in height. They grow naturally in the woodlands but also do well in shady areas of the garden. Hyacinths are another early flower. The grape hyacinth have spikes of tightly clustered purple-blue flowers that can grow to 16 inches tall. Another variety, Hyacinthus orientalis or 'Ostara', reaches 8 to 12 inches in height and has slightly more open flowers. Both have a sweet scent. They grow in sun to partly shady areas. According to Jennifer Schultz Nelson, educator with the University of Illinois Extension Service, some cultures consider the hyacinth a sign of rebirth, for they appear when the Earth is awakening to another season of planting and growth. What Is the Meaning of the Freesia Flower?